Several devices are capable of running Kodi. These include Android TV boxes and the Amazon Fire TV stick. These solutions have been shown to work quite well, but they do require you to spend money in order to acquire the device of your choice. The Firestick goes for $39.99, while a decent Android TV box could easily set you back by around $100. While these prices are not necessarily sky high, you might have a cheaper option lying around the house. If you are a tinkerer and want to get Kodi set up using equipment you already have or just wish to save some money, running Kodi on a computer from a USB drive may be a viable option. Tip: We strongly recommend you use a VPN with Kodi. There are a number of great uses for Kodi, as well as some security concerns that can be prevented by using a VPN. When you connect to Kodi, you may be exposing yourself to hackers who have hijacked add-ons through man-in-the-middle attacks. Additionally, your ISP may decide to throttle your connection due to an excess of online movie and TV streaming. A VPN can help hide your identity, both from hackers and your ISP. Our preferred option is IPVanish which works with all Kodi add-ons, is fast and offers the sort of levels of privacy protection that has made it so popular with the Kodi community. For alternate options, here is a full list of recommended Kodi VPN services. Each of these methods has its merits which we will soon discover. They are both Linux-based. Note that none of these options will work with a smart TV or other device without a computer BIOS. 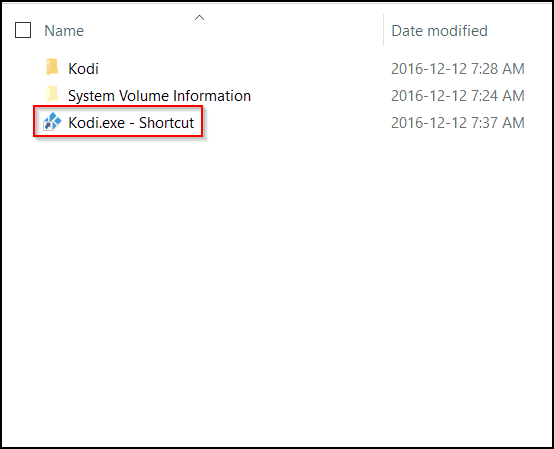 You might be wondering why you would run Kodi this way when you could just install it directly to your computer’s native operating system. The simple answer is that these Kodi-optimized operating systems generally run more quickly than a larger operating system such as Windows. You will only really be running Kodi, so there will be fewer resource-hogging processes running in the background. That being said, two main Kodi based operating systems are available: KodiBuntu and OpenElec. The main difference between the two is speed. KodiBuntu runs quickly, but you will find that OpenElec is generally a little speedier. KodiBuntu, however, allows you to explore the wider Linux ecosystem while OpenElec pretty much locks you into just using Kodi. You should use it with a computer that supports the USB 3.0 standard and a USB 3.0 drive. Without this, your Kodi could be unbearably laggy. For KodiBuntu the minimum recommended USB drive size is 2GB. 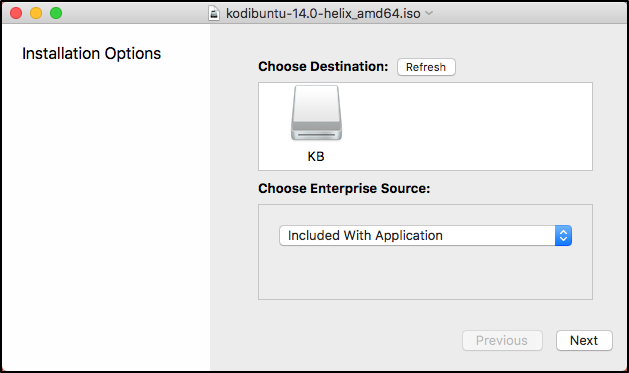 In order create a bootable KodiBuntu USB drive, first download the latest version of KodiBuntu from here. Choose the 32-bit or 64-bit version depending on your system’s capabilities. After downloading the version you need, you will need some software in order to get your USB drive up and running. 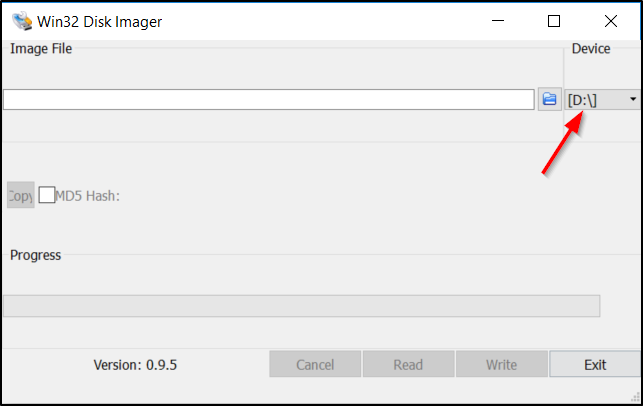 For Windows, Linux Live USB Creator will do the job. Download and run the Linux Live USB creator. The application is easy to use and is divided into five sections. Choose an image file. This will be the KodiBuntu ISO image you downloaded earlier. It is best to set persistence to around 2000 MB. The size you allocate to this will obviously correspond to the size of your USB drive. Persistence refers to the amount of storage allocated to things such as files, settings and installed programs. Having these things stored to your USB drive means that you won’t have to start off with a fresh installation every time you boot KodiBuntu. Check „Format the key in FAT32 (this will erase your data!!)“. As stated, this will erase all of the data on your USB drive. With that in mind, please use a drive that you plan to dedicate solely to running the operating system. Click the lightning icon to start the installation. Once the installation is complete, restart you computer and enter the BIOS settings with the USB drive plugged in. How you do this depends on your device model. Change the boot order so that the computer boots from the USB drive before the hard disk, which will allow you to boot directly into KodiBuntu. 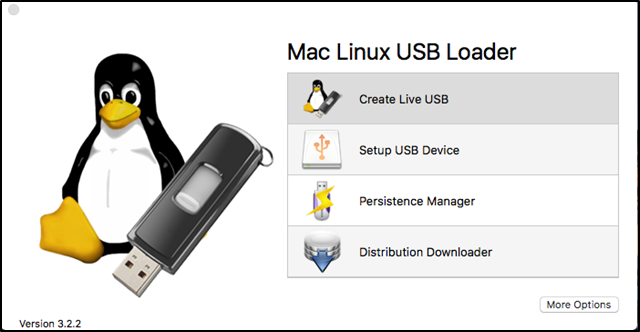 If you are running Mac OS, then you will need the Mac Linux USB Loader in order to get up and running. 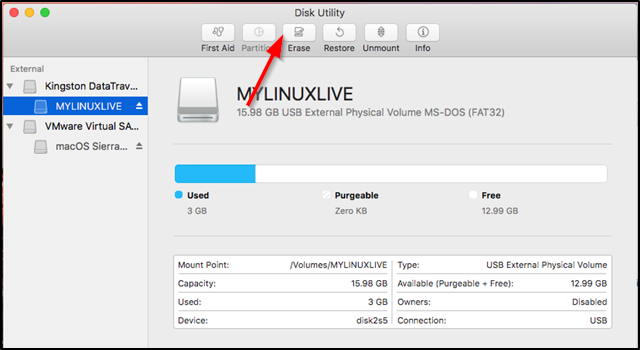 After downloading the file, first run the Disk Utility application on your Mac. Select the USB drive you wish to install KodiBuntu on and select Erase at the top of the screen. Make sure you choose MS-DOS (FAT) under Format and Master Boot Record under Scheme. Give the drive a suitable name as well and then hit Erase. 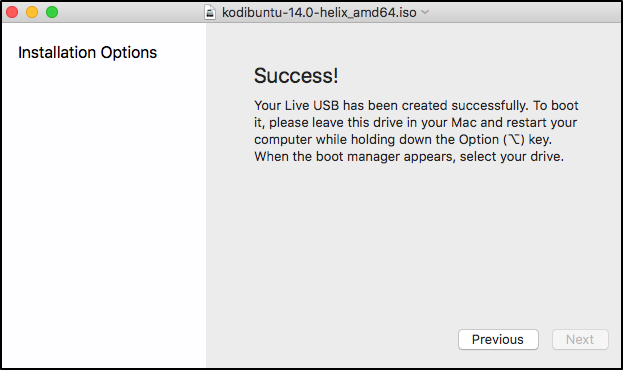 Now open the Mac Linux USB Loader and select the Create Live USB option. 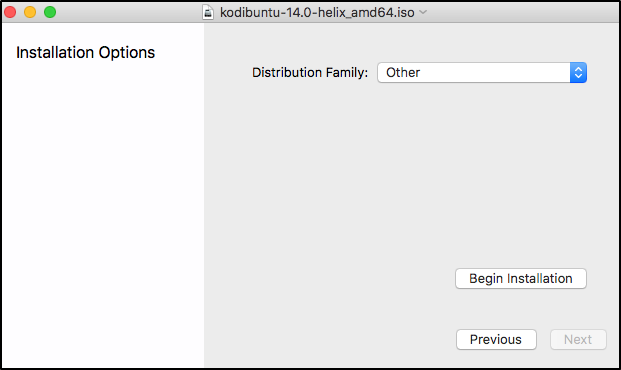 Now, select the drive which to install KodiBuntu on. Hit Next and on the following screen select Other under Distribution Family. Select Begin Installation in order to carry out the installation process. After the process is complete you will be greeted with a message indicating that the installation was successful. Restart your computer and enter the BIOS settings with the USB drive plugged in. How you do this depends on your device model. Change the boot order so that the computer boots from the USB drive before the hard disk. This way, you can boot directly into KodiBuntu. Download the appropriate version of OpenElec from the official website. The x86 generic stable release should get the job done. 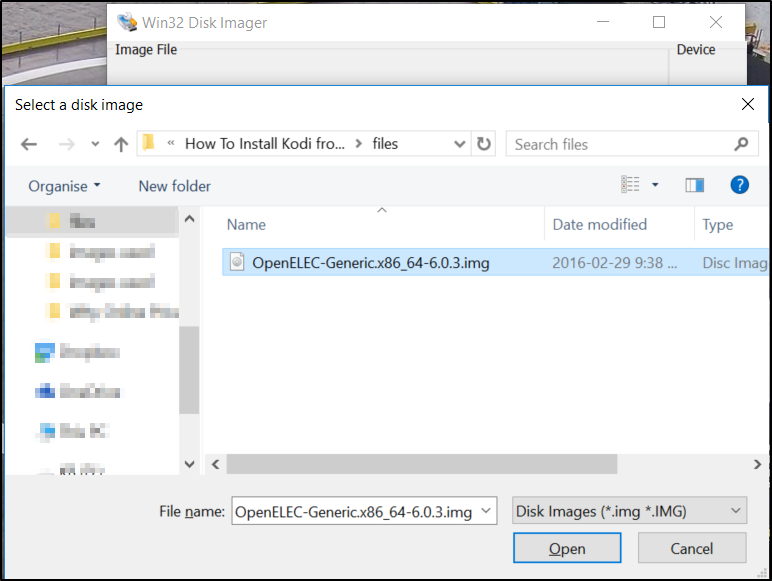 In order to create a bootable USB drive for OpenElec on Windows, use Win32 Disk Imager. Download and run the application. Select the drive to install OpenElec on. Extract the OpenElec file you downloaded earlier using suitable software such as Winrar. Now select the resulting .IMG file within Win 32 Disk Imager. Select Write, and that’s it. Once the installation finishes, restart your computer with the USB drive installed and enter the BIOS settings. How you do this depends on your device manufacturer. Change the boot order so that the computer boots from the USB drive before the hard disk. This will allow you to boot directly into OpenElec. On Mac OS, the MAC Linux USB Loader process will work for OpenElec as well. Please refer to the KodiBuntu instructions above. 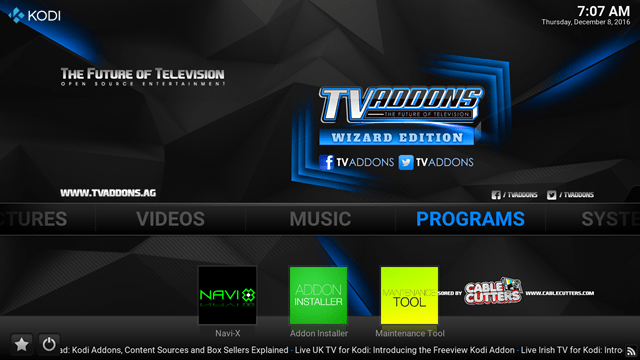 Another available option is the portable installation of Kodi. Note that this method only works for Windows users. In order to create a portable Windows installation, first obtain the installation file from here. Many computers run Windows, so chances are that you will be able to use your Kodi installation most places you go. Now, run the installation file but set the installation path to the root directory of your USB drive. 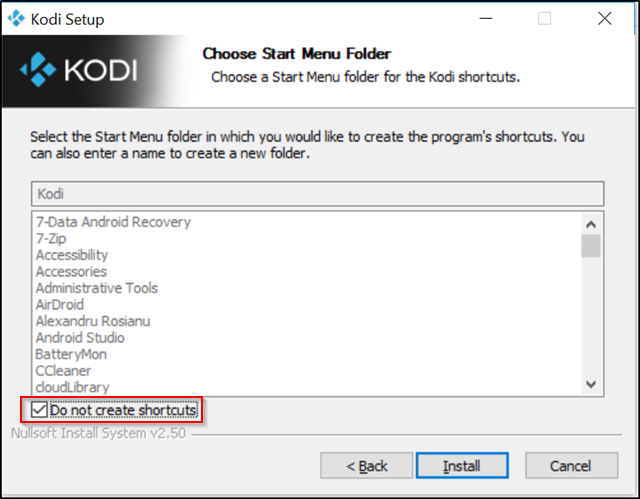 Select Do not create shortcuts in the following step. Select Install but make sure not to run Kodi after the installation has been completed. 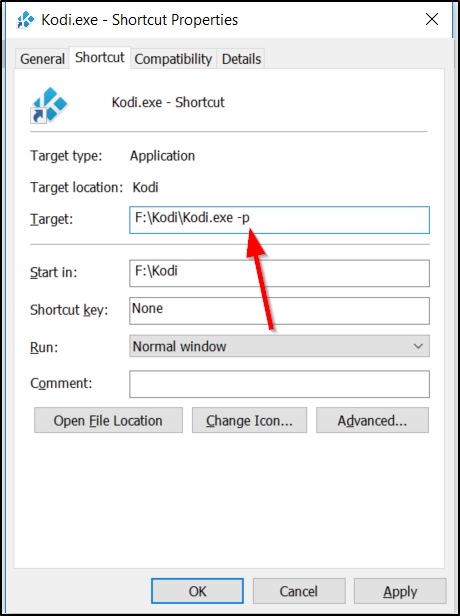 Now create a shortcut to kodi.exe by right-clicking on the file in the Kodi folder on your drive and selecting Create shortcut. Move this file to the root directory of your USB drive. Right-click on the shortcut and select Properties. In Target add “-p” next to the text that is already there as pictured below. 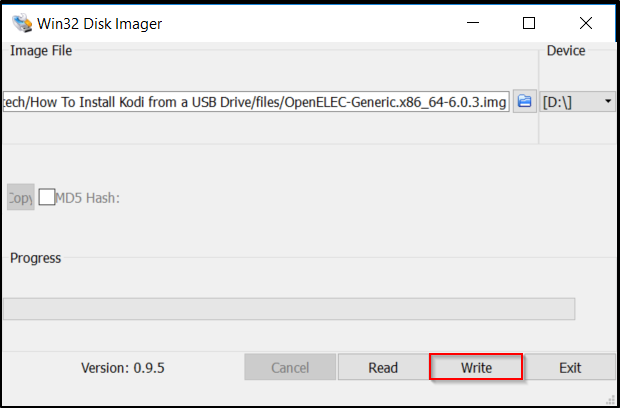 This will make sure that the Kodi folder on your USB drive will be used for storage of important files such as plugins, skins, user data and scripts so that you have a truly portable installation. 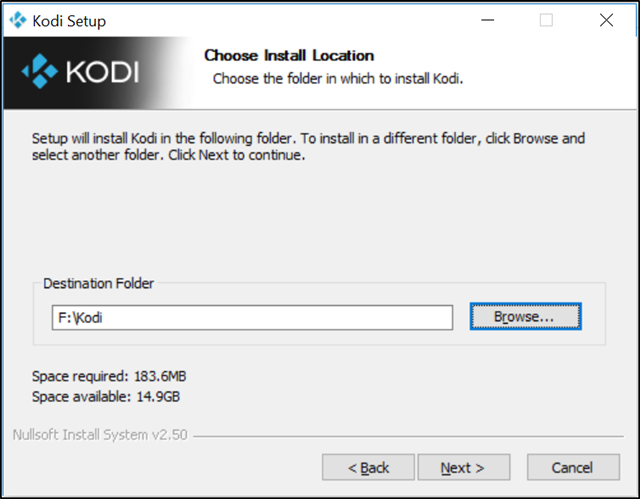 With the installation finished you will be able to run Kodi from the .EXE file located on the USB drive on any Windows machine. Please remember to keep the USB drive plugged in with this option and all of the others. The files necessary for all of these options to work will be located on the USB drive.